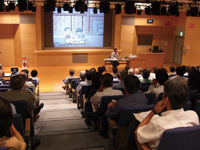 As a university located in the first atomic-bombed city, Hiroshima City University (HCU) contains the affiliated Hiroshima Peace Institute (HPI) which was established on April 1, 1998. Through academic research the institute is focused on contributing to nuclear abolition, the achievement of sustainable global peace, and the development of local society. The research activities of HPI are disseminated through academic publications and conferences, its website, newsletter, and public events including symposia, public lecture series and research forums. 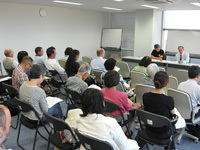 Educationally, the research staff of HPI pass on their research outcomes teaching in both undergraduate and graduate courses, as well as the intensive summer course “HIROSHIMA & PEACE”.